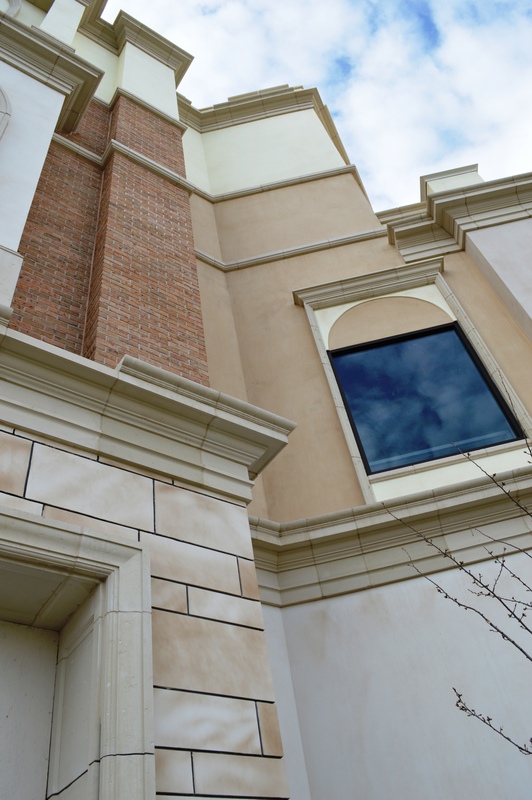 The designers for Station Park in Farmington Hills, Utah required an old-world, smooth, plaster style finish, but they also were looking for energy efficiency, moisture control, and flexibility. This was Phase II of the development, and Master Wall® and Houghton Plaster Inc. were tasked with creating a match to the existing buildings. 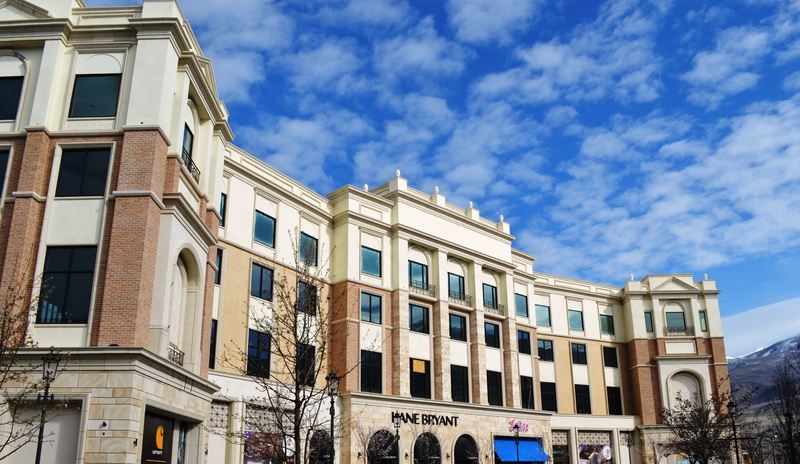 Due to superior water drainage performance and energy efficiency, Master Wall® recommended the SuperiorShield Rollershield Drainage EIFS for the project. Once the system was chosen, Master Wall® Savannah Finish was the perfect solution for the look the design team desired. Savannah Finish is a smooth, acrylic “plaster” finish, which replicates the old-word look the team was looking for. 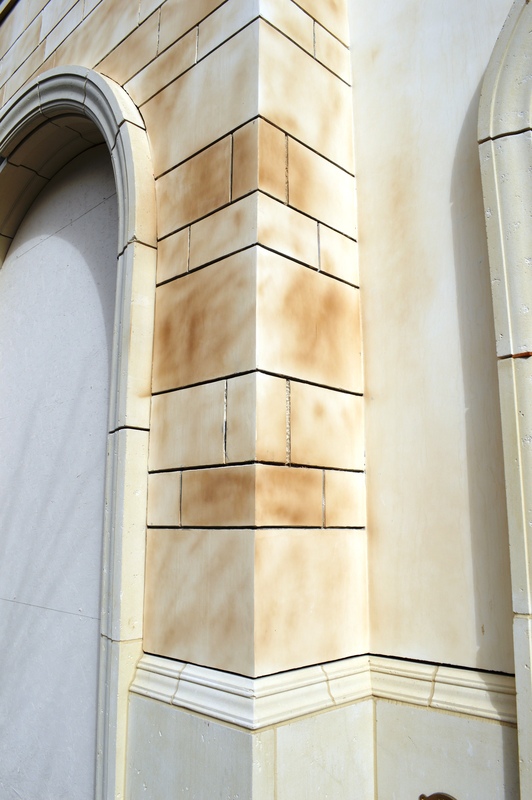 In conjunction with Master Wall® Vintique stain, the finished walls had the appearance of a mottled, old-world plaster with all of the benefits of water-drainage EIFS. 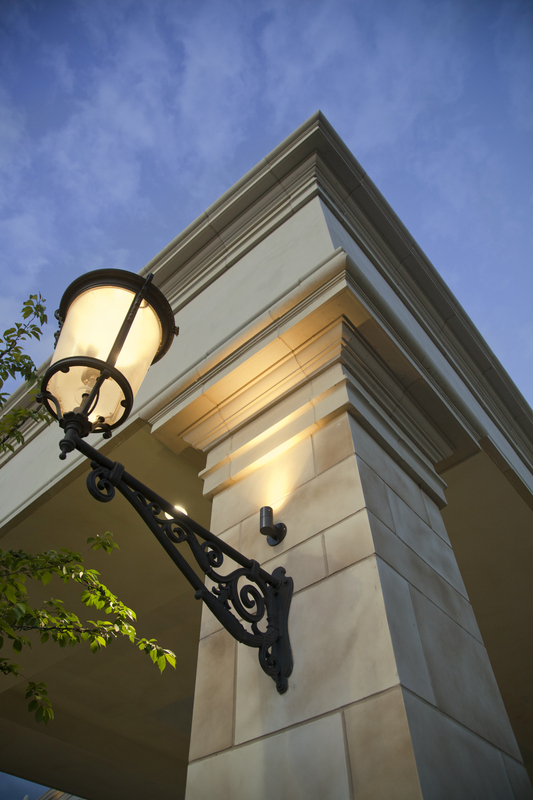 Some of the special applications included faux limestone blocks, limestone arches, limestone trims and custom shapes as well. The result of the attention to detail is an incredible looking project which will remain beautiful and efficient for many years to come.